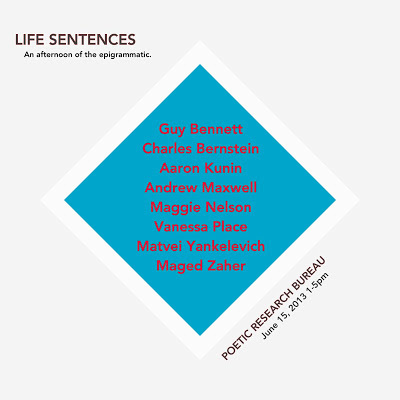 Vanessa Place's Poetry Logos debuted at the PRB's Life Sentences festival of epigrammatic literature on June 15, 2013. Charles Bernstein reads "perversely aphoristic" selections from Recalculating at the PRB's Life Sentences festival of epigrammatic literature, June 15, 2013. 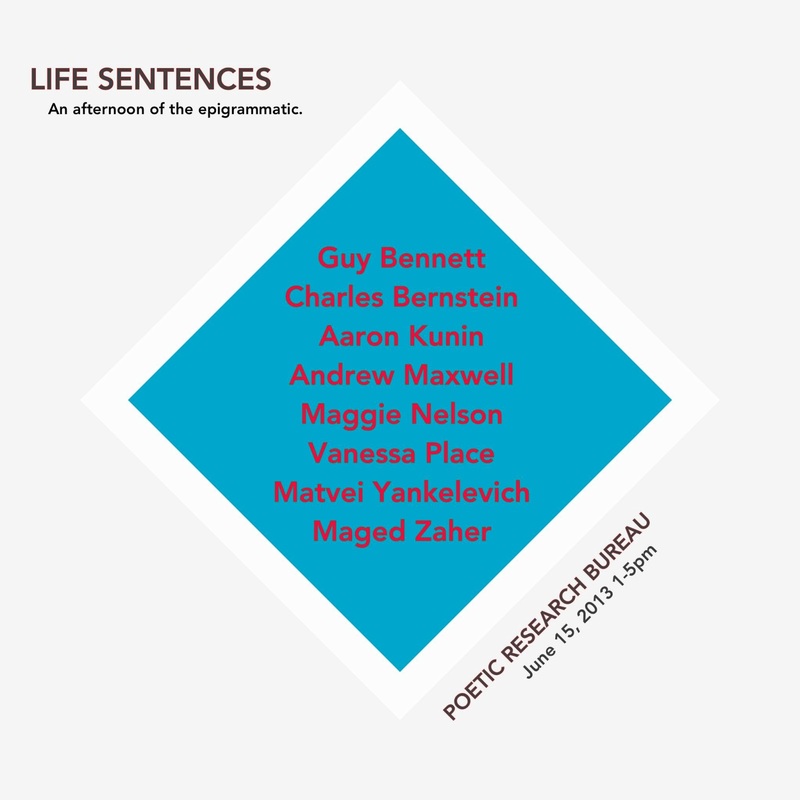 Maggie Nelson reads from new work at the PRB's Life Sentences festival of epigrammatic literature, June 15, 2013. 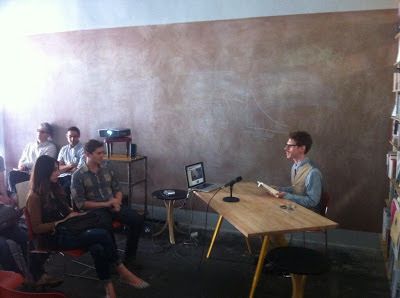 Andrew Maxwell reads from 4 epigrammatic works (Life X, Ottolineal, Peeping Mot and Beggars of Life) at the PRB's Life Sentences festival of epigrammatic literature, June 15, 2013. Matvei Yankelevich reads Davenport, Šalamun, Yankelevich and others at the PRB's Life Sentences festival. Guy Bennett reads from Flaubert, de la Serna, Schmidt, and Bennett @ the Life Sentences festival, June 15, 2013. Aaron Kunin reads from Grace Period. June 15, 2013. Life Sentences festival. The Poetic Research Bureau concludes its spring season the weekend after next with a long run at the short form.